No change to elementary, middle, or high school zone lines for the 2019-2020 school year. Portables will be used to balance capacities across all school zones. To provide feedback on this recommendation, please click here. The deadline to provide feedback is Jan. 8, 2019. 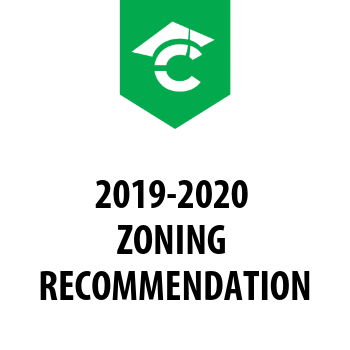 A public hearing will be held on Jan. 8, 2019 at 5:30 p.m. and a final zoning recommendation will be presented to the School Board on Jan. 15, 2019 for voting.